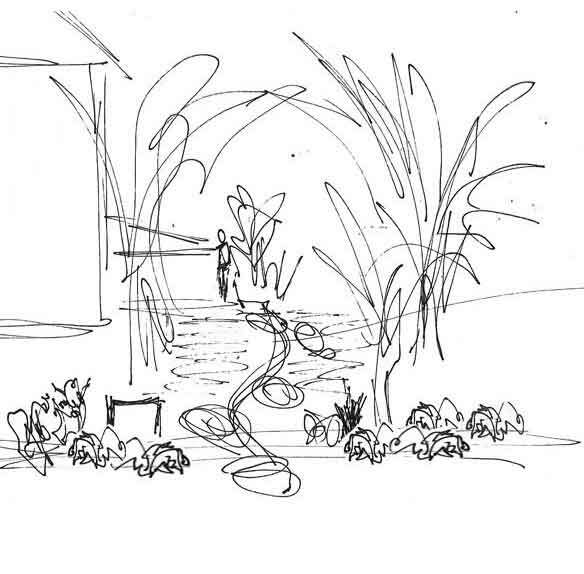 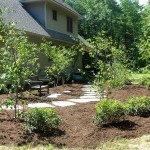 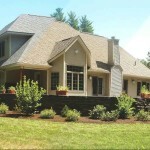 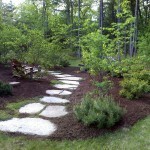 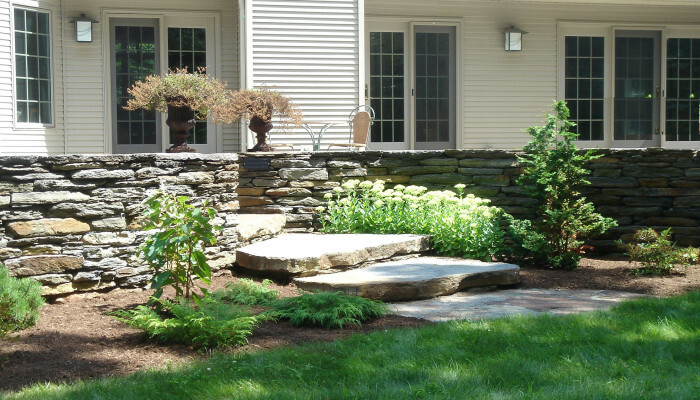 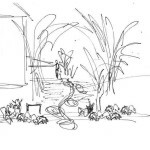 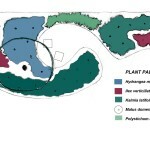 Portfolio Categories: Patios, Plantings, and Retaining Walls. 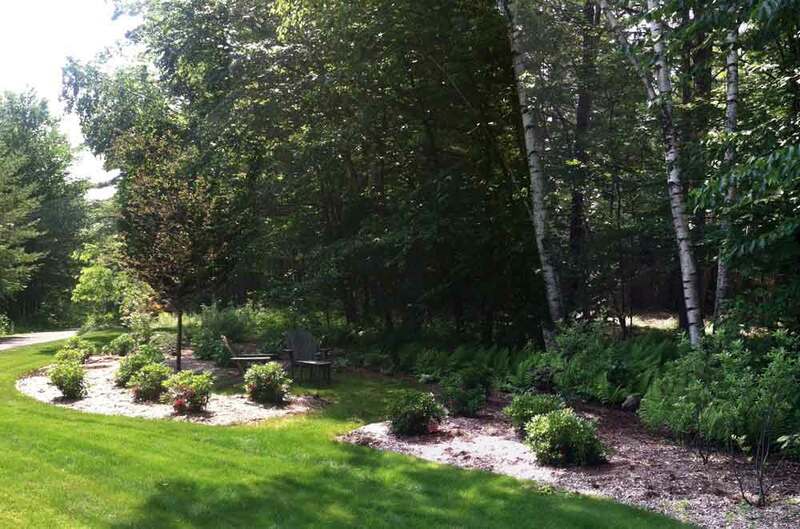 The residence for this Belchertown property was newly constructed in 1999, with the first phase of landscaping completed in 2004. 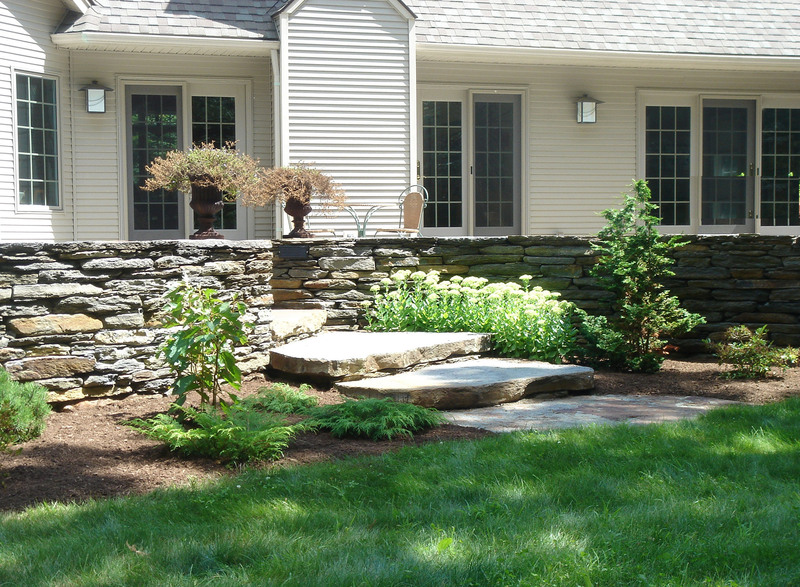 Phase I included the Goshen stone patio and retaining wall off the living room, with views into the surrounding woodland. 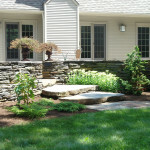 A staircase of gentle steps leads to the lawn below, and invites further exploration. 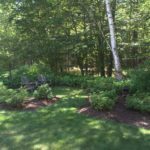 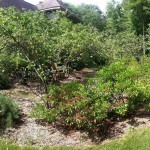 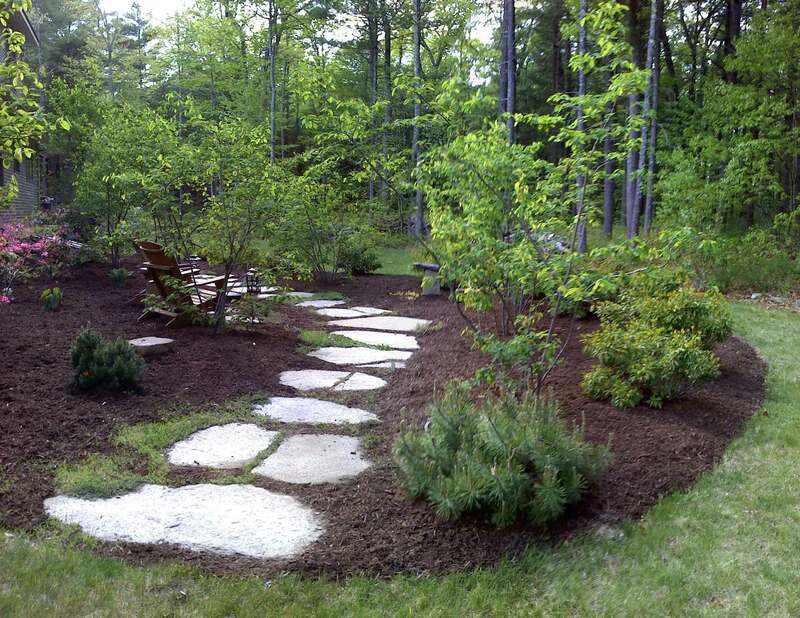 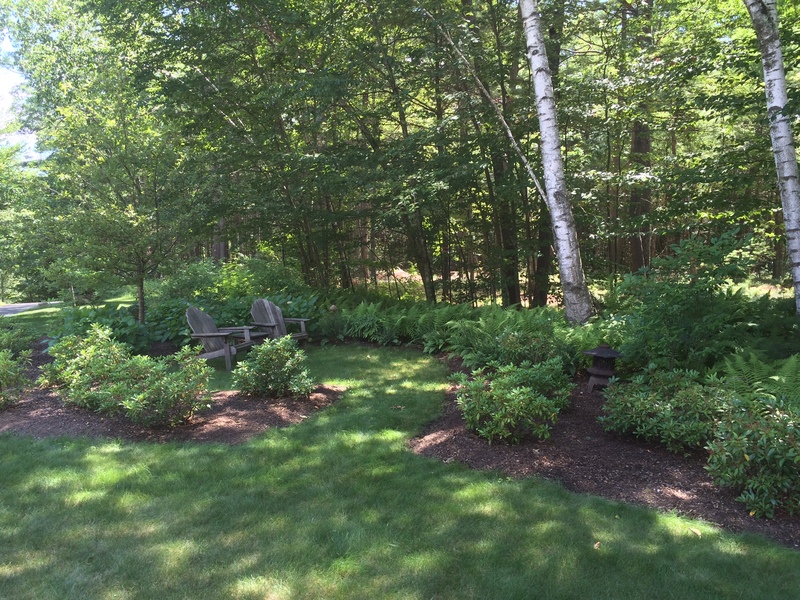 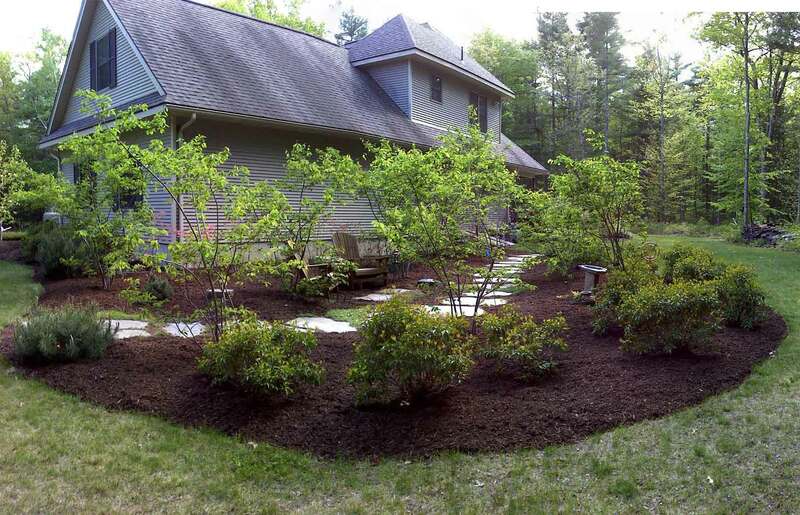 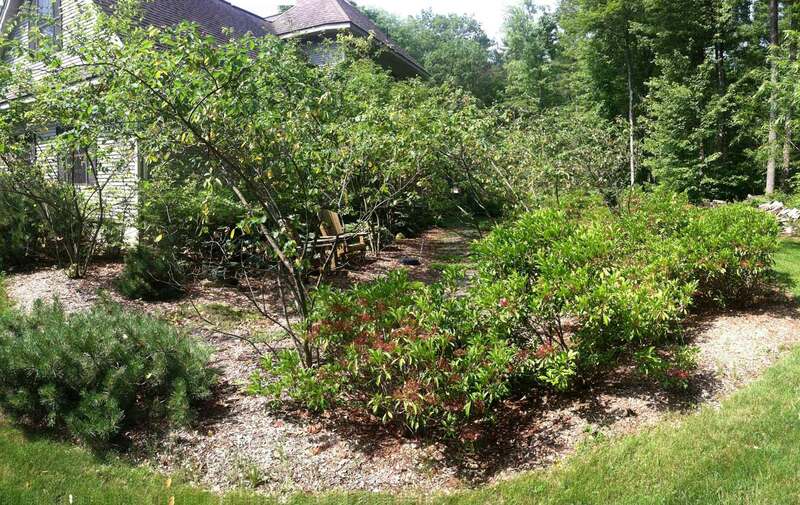 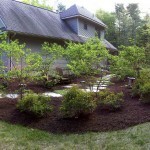 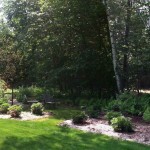 The amelanchier shade garden, installed in 2006, provides the owners with a cozy, sheltered retreat.